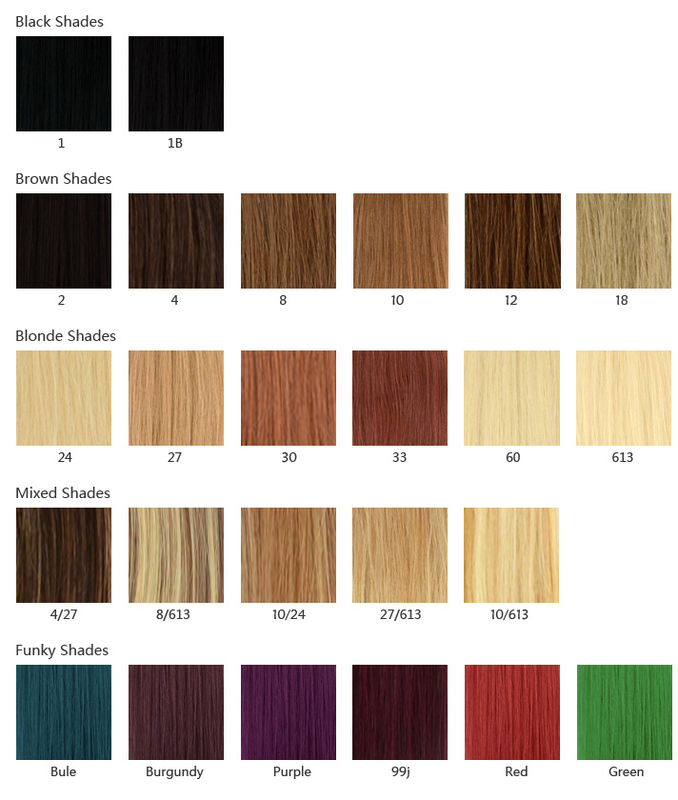 Although we have provided the Hair Extensions Colour Chart for your reference, its still a little hard to figure out a perfect match to your own hair colour just by judging the picture on screen. We suggest you to pick the colour which you think will be a close match (either slightly light or dark) and try blending it with your own hair. This will give a more natural look, a unique variation and more depth and dimension to your own hair. Here we will offer a more considerable service: send us a photo of your hair colour!